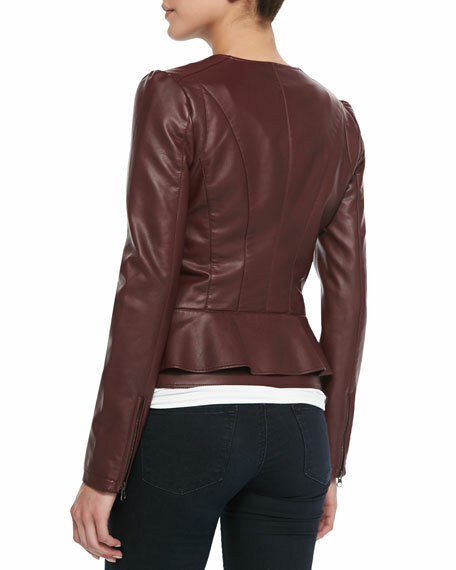 CUSP by Neiman Marcus adds flare to this faux-leather moto jacket with a peplum waist. 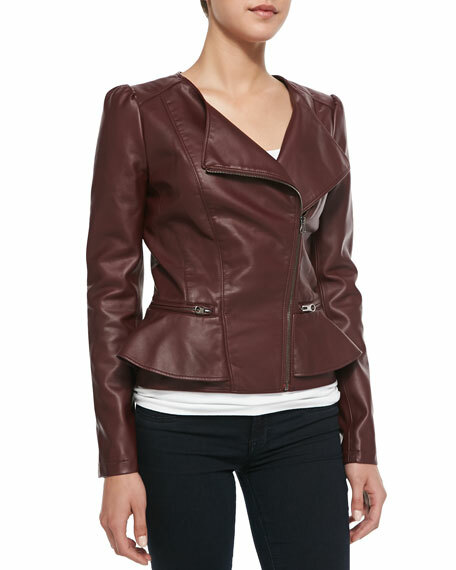 CUSP by Neiman Marcus faux-leather (polyurethane) jacket. Approx. 23"L front and 22"L back from shoulder to hem; 26"L sleeves. Split peplum waist with zip pockets. Stitched back seam details create fitted silhouette. Arched round hem extends slightly in front.